Breadsmith: Tuesday Special—A Gift to You! Tuesday Special—A Gift to You! Tuesday, August 15, is the first day of a very special recipe: Colorado Peach Scones. We wait until the finest quality and best tasting peaches arrive. We make them until the choicest fruit from the harvest is gone. Come in Tuesday morning and receive a complimentary mini peach scone. We think you'll fall in love with the flavor. We have! While there are only a few days that we make the scone, we can make more. So please stop in and let us know what you think. 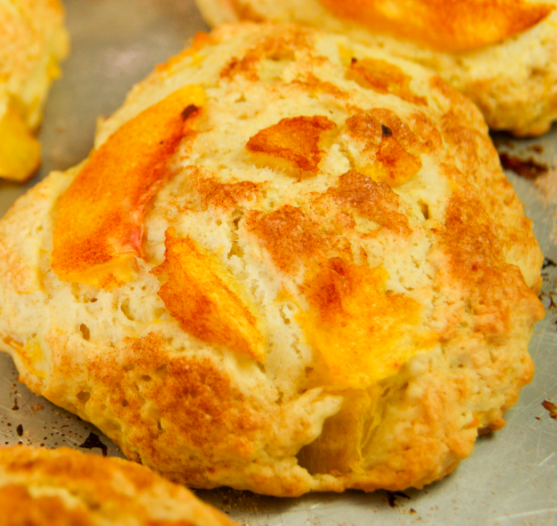 This year, Colorado Peach Scones limited availability is August 15–31. Complimentary mini scones are available August 15 until they are gone. We're making 200 per location, so we hope you'll be able to enjoy one—a gift from us to you.